If you have already been in Rome, or if you like going off the beaten path, follow me in the discovery of lovely gardens and ancient ruins, misterious legends and contemporary tragedies. In this walking tour we'll start with the area around the Tiber River, the Island, where in the ancient time there was a Temple for the God of Medicine, Esculapio. We'll walk along the river banks to see the Tiber and admire its bridges by close. 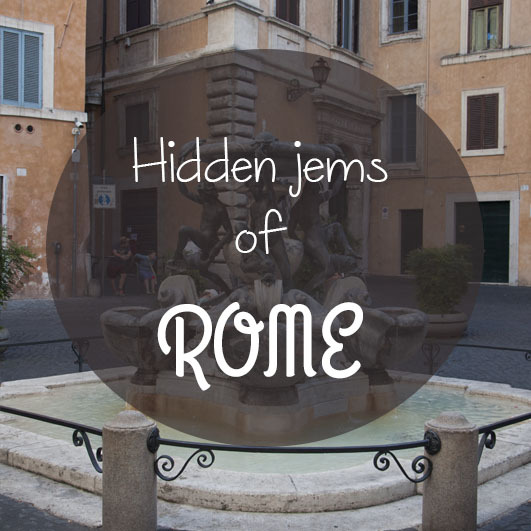 Then we'll walk accross one of the most genuine area of Rome, the Jewish District when you'll learn about the local jewish community and its hard life during centuries. After, we'll walk around the Forum Boarium, where you see two Repubblican shrines totally preserved (temple of Hercules and Portunus). If you're interested, we can line to pose with the Mouth of the Truth :) We'll end on the Aventine Hill, famous for its churches or parks as the lovely Gardens of Oranges or the Garden of Roses (open only in Spring). Meeting point: at the Tiberine Island. I'll meet you at the obelisk in front of the Church Basilica of San Bartolomeo (Piazza San Bartolomeo all'Isola) I'll send you more details after the booking (photos and map). Timing is very flexible, may change depending from your pace, level of interest and additional sites visited. - On request we can include extra sites as the underground of San Nicola in Carcere (Roman crypts) or Santa Sabina, a Basilica on the Aventine Hill. - This tour is totally outdoor. Tour is provided even in case of light rain since we can use umbrellas and raincoats. In case of heavy showers we can choose together to change the itinerary or the date of the tour. - I do not take guests into the Main Synagogue of Rome. You can contact the Museum to have more informations about their guided tours.